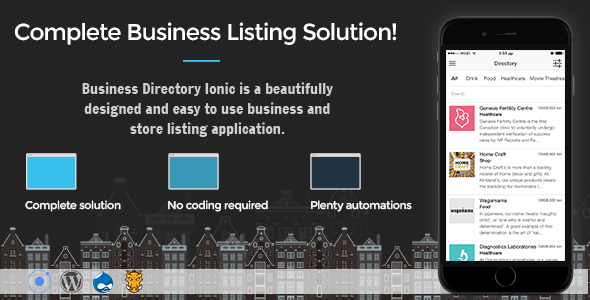 Business Directory Ionic is a complete store/business listing solution that consists of a mobile application and a powerful content backend with data updates. Users can easily browse through businesses and stores using various filters such as category, name or distance. Store and Business owners can display and promote their products, services, news, contact information and more. Best practices, proven techniques and experienced software architecture are packed with a well-crafted design.